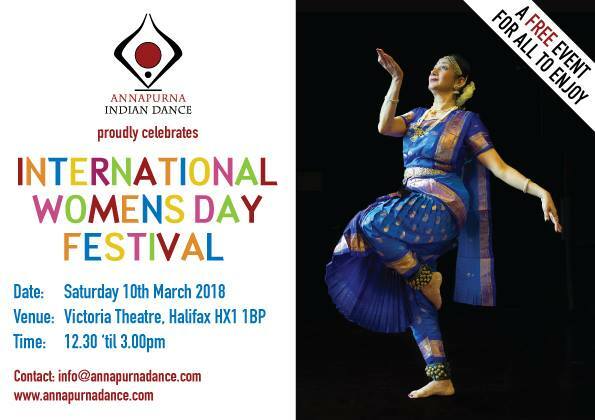 Annapurna Indian Dance are proudly celebrating International Women’s Day with a Festival at Victoria Theatre on Saturday 10 March, 12:30pm-3:00pm. Enjoy a variety of activities at this FREE event: Demonstrations of beautiful temple dancing, tap & contemporary dance, storytelling, music, singing and drumming. We welcome Award Winning classical Indian Dancer, Dr. Swati Raut, who will be presenting excerpts from her innovative dance project “Half of Me” which explores the theme of Assisted Reproductive Therapy whilst drawing parallels from a storyline in the famous Indian epic “Mahabharata”​. Started by the Suffragettes in the early 1900’s, the first International Women’s Day was celebrated in 1911. International Women’s Day belongs to all communities everywhere – governments, companies, charities, educational institutions, networks, associations, the media and more. Whether through a global conference, community gathering, classroom lesson or dinner table conversation – everyone can play a purposeful part in pressing for gender parity. So make International Women’s Day YOUR day and do what you can to truly make a positive difference for women. Press for Progress!